In order to grow old in a healthy manner you need a fit immune system. Only a small amount of chronic diseases that prevent us from ageing healthy is genetically fully penetrant. Most chronic diseases however can have a genetic disposition but whether one gets ill depends on many factors such as your environment, lifestyle, diet, etc. 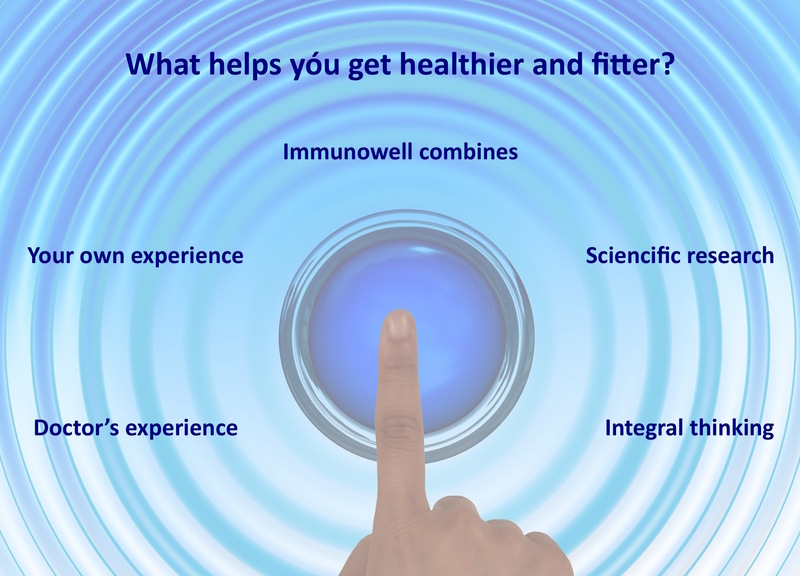 The Immunowell Initiative includes all these factors and combines scientific research with knowledge that is contained in the experiences of patients and doctors. 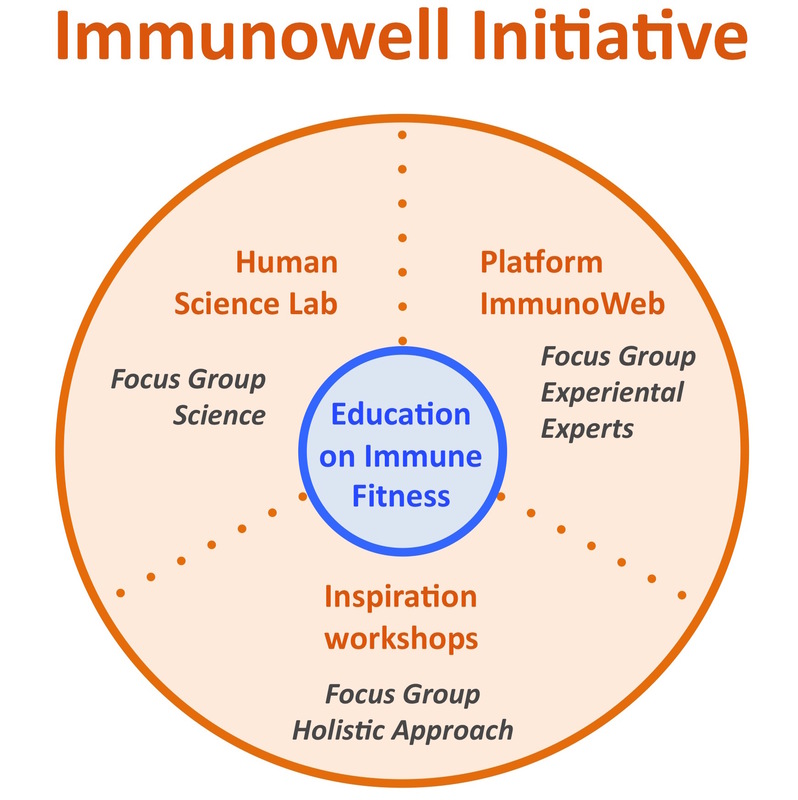 The Immunowell Initiative wants to create a world in 2025 where everyone has the tools to make his or her own immune system more healthy. For all parts of the Immunowell Initiative we are gathering the necessary financial means to start realizing them. In order to scientifically use experiental knowledge we have to discover how to recover knowledge form the stories of experiental experts (being patients or family / friends of patients with a chronic immune disorder). Therefore Immunowell develops Platform ImmunoWeb, where stories wil be collected and evaluated. Immunowell wants to develop a Human Science Lab. In this Human Science Lab the immune functioning of a large group of people (patient and healthy) will be followed for a longer period of time and related to their daily lifestyle, their social and physical environment and their individual personality characteristics. First step is to set up a Pilot of this Human Science Lab. In 2017 Immunowell will organize inspiration workshops popular subjects related to the immune system will be explained by duo’s consisting of someone from regular and someone from integral medicine. This is followed by an active workshop to generate knowledge for the Immunowell Human Science Lab. 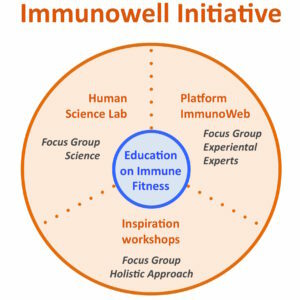 New knowledge from all parts of the Immunowell Initiative will be developed into education and training.